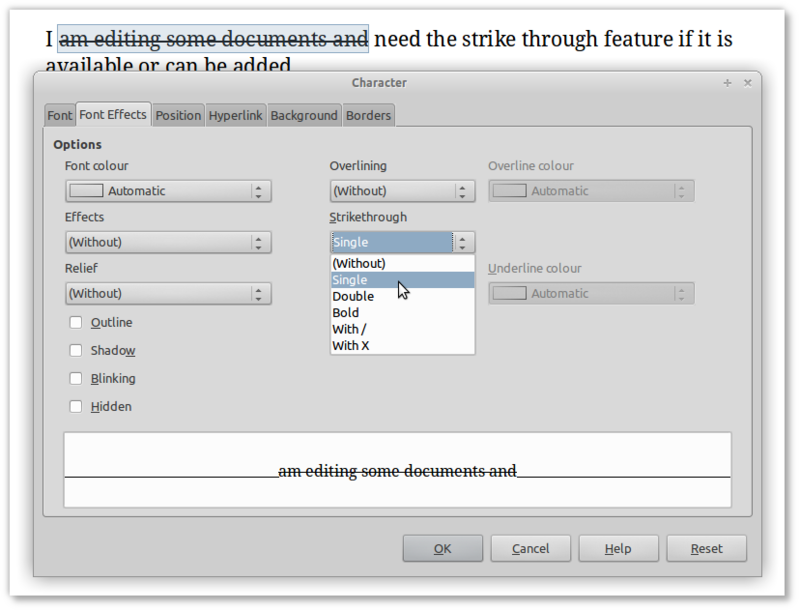 I am editing some documents and need the strike through feature if it is available or can be added. @AnthonyH Please mark the answer that worked for you as 'correct', so it is clear to other the question was solved. Thanks! Yes, strike is available. The best way to apply the Strike effect is by creating a Character Style. 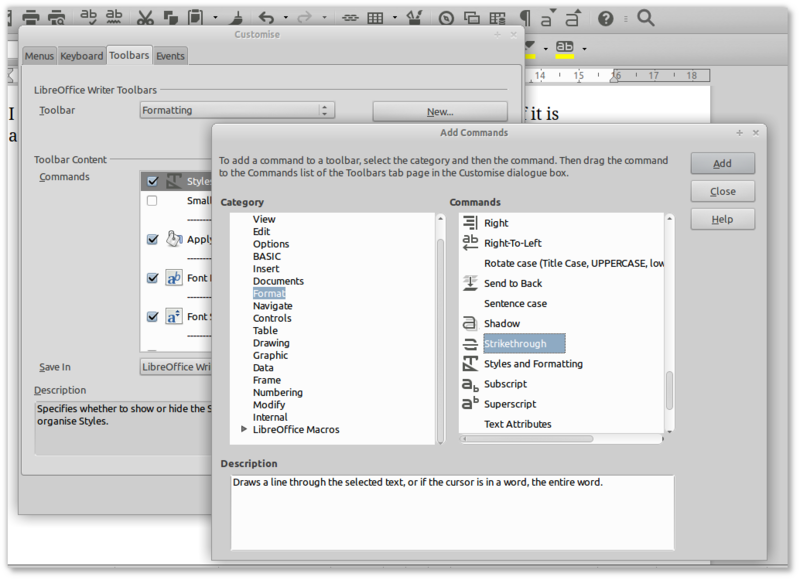 From now on, to strike any word or words just select them and double click on the Strike word showing in the list. This sounds a bit complicated (of course you can just do steps 1 and 2...) but this is the most consistent way to format text. Advantages? If you later decide that you want all words that you have already stricken with a double line or crosses, you just need to Modify the Strike style. You can assign it to a shortcut key, too, of course. Hope that helps. Thank you all for the help it is greatly appreciated.